Warner Bros. and DC Films have announced that the Batgirl movie will now be written by Christina Hodson, who just wrote the Transformers spinoff movie Bumblebee. The news comes after many DC fans believed the project was dead after it was announced previous writer and director, Joss Whedon, had exited the movie. However, this new announcement should get fans excited about the further development of the Batgirl movie. In addition to the Bumblebee movie, Christina Hodson wrote the 2017 thriller Unforgettable, which starred Rosario Dawson and Katherine Heigl. But more importantly, Hodson wrote the script for the Harley Quinn Birds of Prey spinoff for Warner Bros. and DC Films and it's been reported that the studio is very happy with the results, which obviously helped in landing the Batgirl writing gig. It's also been reported that the Birds of Prey script has already started to be sent to directors, meaning that it's only a matter of time before that movie goes into another stage of active development. Joss Whedon was first attached to write Batgirl last year, which had many fans excited. The creator of Buffy the Vampire Slayer seemed like an ideal choice, but there have been some hiccups for Whedon and Warner Bros. over the last several months. The first being the perceived failure of Justice League, a project that Whedon took over after original director, Zack Snyder, left (or was dismissed?). The second reason being that Joss Whedon claims he just couldn't come up with any ideas for the Batgirl movie. Additionally, Whedon's ex-wife wrote a scathing article about his treatment of women over the years. The article might not have been the main reason behind Whedon leaving the female-led project, but it was probably given some thought. Now that Batgirl is back on track, DC fans are wondering who will get the role of one their biggest female superheroes. Lindsay Lohan has been publicly campaigning for the part in interviews and through social media, but fans have already decided that she isn't the perfect fit for the Barbara Gordon character. 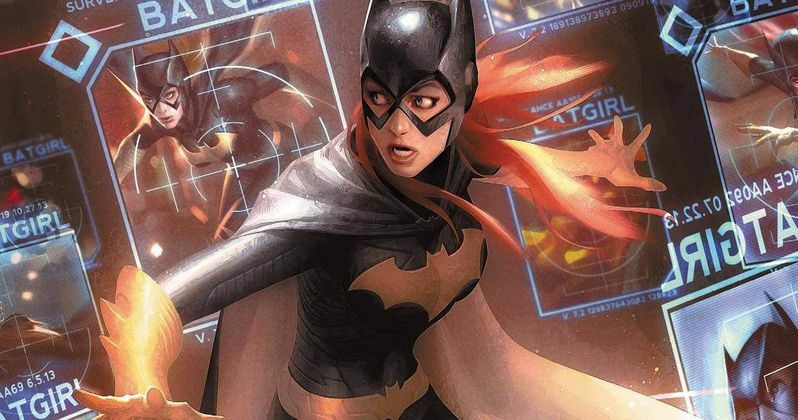 Alicia Silverstone famously played the role in 1997's Batman and Robin, which wasn't exactly received very well by anybody, so it's about time that we get a fresh version of Batgirl. Christina Hodson appears to be a confident choice to write Batgirl after her the script for Birds of Prey. Author Roxanne Gay threw her name into the hat via social media after it was announced that Joss Whedon was leaving the project, but that obviously didn't work out. There was even a pretty weird theory about Lena Dunham taking over the project, but fans didn't really seem to like that idea very much at all. For now, Batgirl seems to be in capable hands. This is a developing story and more news is expected to be announced soon. In the meantime, you can read the original report over at The Hollywood Reporter.